legendary Bourbon Street, home to numerous bars and nightclubs. Not far away you'll find Jackson Square, a monument to President Andrew Jackson who led U.S. forces to victory against the British in the Battle of New Orleans in 1815. Across the street is a true New Orleans institution: Café du Monde, home to the fabled beignets (a French doughnut) and coffee. The annual Mardi Gras celebration takes place in February, when masked partygoers fill the streets to be a part of the biggest celebration of its kind in the country. New Orleans’ dining options are just another reason why this city is one-of-a-kind, with distinctive dishes like muffuletta, jambalaya, and gumbo. 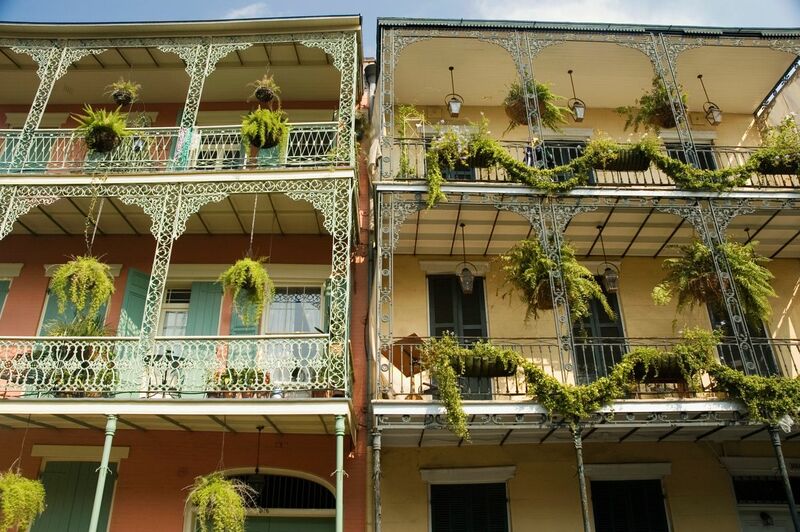 Hotels are available across the city, but just be prepared for a loud night if you opt to stay in the French Quarter. Although New Orleans has suffered from Hurricane Katrina and the Deepwater Horizon Oil Spill, the city’s lively history and its Cajun charm keep tourists coming back year after year. The old New Orleans motto, “laissez les bons temps rouler,” French for “let the good times roll,” captures the essence of the heartbeat of Louisiana. weather is usually pretty tolerable during this season, you will need to book early -- up to a year in advance -- to ensure you get a hotel reservation. Summer can be stiflingly hot, but autumn sees temperatures drop back down into the 80s (below 32C) and there are plenty of cultural activities to keep you busy, making this an ideal off-peak time to visit. Just be sure to check the weather for any trip between June and November, as there is always potential for a hurricane. You can’t ask for a better vacation in the states!!! There is definitely something for everyone to do. New Orleans is an amazing city. It is chocked full of fascinating history, loaded with fun things to do on various different levels, the people are incredibly kind and the food, oh my goodness, the food is absolutely the best of the best! In fact; if you are looking for a long-weekend getaway where you can eat, drink and be merry? Well, NOLA is 110% your vacation city! With the above said, I feel that I owe it to you to inform you of the smell, yes, I said smell, of Bourbon Street. Bourbon Street is quite the fun time; there is many different genres of fantastic music playing, performers littering the street, and more people watching than you can even imagine. However, Bourbon Street is definitely one of the smelliest places I have visited! Without going too much into detail of the smell, it is not pretty but it is oh so worth experiencing. Also, for obvious reasons, the smell is worse when you visit during hot and humid months; late Spring through early Fall. My favorite time of year to visit New Orleans, however, is in March and April. Early Fall is likely another great time to visit; however, I have not been there during this time of year. That said, I have heard the temperatures are fairly similar to March and April. New Orleans is HOME! There's no other place in the world quite like this. You can't go wrong anywhere with the food. The best thing about New Orleans, is that once you're downtown, everything is in such close proximity that you can really just walk every where. There's so much history and culture in this city and you can feel it. Lots of fun history to see and beautiful old buildings. Loved the history here. It was beautiful! I was looking forward to coming here for the summer!! Downtown was amazing there were these horses and some shops and everyone was so nice! !